Therasauna is the only infrared sauna manufacturer in the U.S.A. (as of 2012) with components coming from Chicago and Minneapolis. The retail customer that bought a Therasauna almost 20 years ago still can get replacement parts, unlike many others who have come and went over the years. 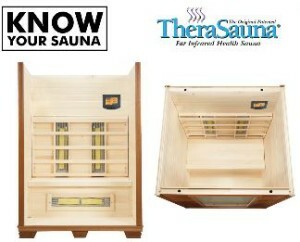 Others may say they are made in the USA, but they are actually bringing in saunas from overseas. The main line of Therasauna uses aspen wood and U.S. based technology. Lifetime heater warranty from a company that has been in business for almost 50 years gives peace of mind for your infrared sauna investment. The electronic control system comes with a 3 year unconditional warranty. Hot Tub Outpost has been selling infrared saunas since even before Therasauna was invented and we know our saunas. 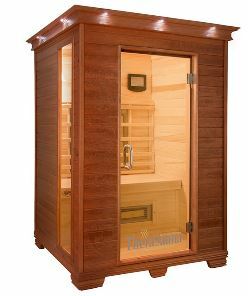 Get free shipping and the best prices online for your infrared sauna from Hot Tub Outpost.